The true joy of The Plough at Bolnhurst is the perfect trinity of atmosphere, service & sumptuous food. This beautifully renovated building traces its roots back to Tudor times hosts a warm, inviting atmosphere and in front of house, Michael and Jayne with their team provide an efficient and friendly service. 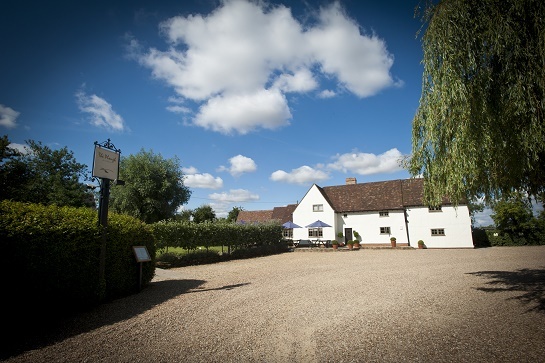 The Plough’s kitchen is open to view and this exceptional pub is consumed by the aromas of fine cooking. Inside the kitchen, head chef Martin is passionate about serving sophisticated food, sourced direct from farms and estates. The Plough’s menu delivers exciting English food with a strong Italian and French influence. I have been here many times and without fail the food and service is exemplary. In my opinion The Plough has the best menu for many miles. It is a wonderful restaurant and we will continue to visit. As usual, another great meal at The Plough. Food was delicious, staff friendly and attentive..... just a great place to enjoy some great food with great company. My wife and I look forward to returning when she's also able to enjoy your great choice of wine. Our favourite local restaurant, has never failed to deliver on food, wine and service. This evening we both had fish starters (scallops and the crab and ginger) and mains (lemon sole and fillet of hake – both beautifully cooked and presented). As usual, we had a brilliant evening. Everything perfect.Food amazing and particularity appreciate knowing I can eat gluten free with confidence. This is obviously a personal opinion from our party of 4. Apart from one lady who disliked the taste of her potatoes,( this was drawn to the attention of a member of staff who I believe was probably Jayne, and queried what they had been cooked in ), we though the quality of food was very good, it was the quantity of what was served that to us that was a little disappointing, especially the roasted cod the 2 ladies had chosen. Whilst we are of an age when we can no longer plough through a 3 course meal, we always go straight for the main course and hope we still have enough room for a pudding, which 3 of us did today, and how tasty they were. This is the only reason we have only given 3* for " Value for Money ". but it will not stop us from visiting again whenever in the area, as everything about the ambience of The Plough would draw you back. But strangers to the area beware, look at the directions on their website, as it is not actually in Bolnhurst, or certainly not the part of the village that we spent sometime touring round before finding somebody to point us in the right direction. Easter Friday menu had a great combination of dishes and the quality was excellent. The recommendations of wine to go with the fish dishes also exceptional. Excellent food and service! Third time here and will keep coming back . Superb service with a smile lovely food and a totally professional understanding. A really great experience which will be repeated as soon as we can! Lovely food, great atmosphere, as usual, a most enjoyable afternoon. Excellent service, cuisine raffinée et goûteuse! Déjeuner dehors était un plus indéniable! Un détail un peu trop de beurre dans le soufflé à l ananas, mais il était en fait parfait! The quality of food was superb and the staff were really friendly. I would recommend The Plough to all. They have a set menu at very reasonable prices if you are watching the pennies . They don’t add gratuity to the bill. 10 out of 10 for me. Visited the Plough on a Tuesday evening for a birthday treat for my Dad as he hasn't eaten there with us before. As always the atmosphere, service and food was wonderful. Thank you all for making it a very enjoyable evening. Dad particularly enjoyed the wonderful selection of Whiskies he tried. 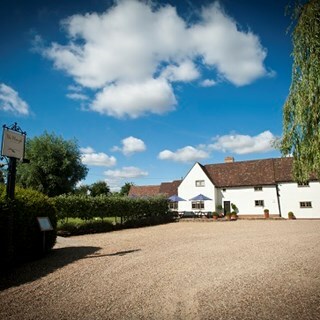 Attentive staff, lovely food, gorgeous surroundings. Treat yourself to a lovely relaxed dining experience! My go-to restaurant for special occasions or just for a long, leisurely lunch. Can’t do enough for you. Would have rather been sitting in a lighter part of the pub...fine in the evening but feels dingy during the day....softly spoken and accents made for hearing what some of the serving staff were saying...prefer a coarser ground black pepper than what's available on the table. Very observant Michael that you noticed that it was my mothers birthday and presented her with a desert with candle and Happy Birthday message, which she was delighted with. Our favourite restaurant and once again another lovely meal and evening. The service was as always very attentive, if not a little too much as we felt that some of the waiting team seemed anxious to appear busy and were a little too keen to clear our main meal plates away. Not a criticism, just be more aware of timing. Also, need to be more discreet when checking what stage the eating of each course is at! A fab team, very conscientious. Thank you. Another fabulous meal at The Plough with my wife on Sunday afternoon. We both selected the set menu, the 3-course roast dinner option and it was amazing. Great attentive service as usual. We both thoroughly recommend The Plough. We'll be booking again soon.